Lisa Recoussine is senior vice president of business development for orderTalk. This article does not necessarily reflect the opinions of the editors or management of Nation’s Restaurant News. Implementing digital ordering may seem like an overwhelming task, full of complexities. But this project could have one of the greatest impacts on long-term revenue for your business. Just imagine the impact on your restaurant if you could take existing off-site sales and double or triple them without adding more seats. Today’s technology ecosystem is all about integration. Gone are the days when a POS system provided many of the components to run your restaurant. As the landscape has become more complicated, it has also become more diverse. Now, as a restaurant operator, you can shop for the best provider to meet your unique needs, whether that is point of sale, back office management, application development, gift cards, payments, digital ordering and so on. If you choose experienced vendors, you should demand the ability to integrate your solutions into a robust, comprehensive solution. This approach will give you the flexibility in the future to swap out or upgrade different vendors as your business needs change. You work hard to brand your restaurant and provide a unique value proposition. Your digital ordering platform should be representative of that hard work. It should be customized to your look and feel, not constructed with pre-set templates. Identify the specific operational requirements for the complexities of your business and make sure your chosen vendor checks all of the boxes. Determine if the vendor can fully support your customer’s special requests. Decide if you need expertise in couponing, catering, group ordering or split tenders. It’s better to have these functions fully supported in the core system so when you need them in the future, you will not encounter additional development charges. Not making security a priority is not worth the risk. Companies that are PCI compliant undergo strict auditing of how they handle and process customer credit card information. This requires ongoing certification. Make sure your chosen vendor is complaint and request a copy of their current certificate. Also, check the security of their data centers and make sure your vendor utilizes state-of-the-art facilities for processing orders. Partnering with a vendor that takes security seriously will demonstrate your commitment to protecting your customer’s information — and your brand’s reputation. Big data is king. Digital ordering will give you extensive insights into customer behaviors and preferences. This data should be readily accessible to you and integrated into other parts of your business for analytics. Clarify with your vendor who retains ownership of the customer relationship and data. Make sure they will not market to your customers. Insist that if you decide to part ways that you retain ownership of the customer information and ordering history, and that it is available to you at no additional fees. This data is for your customers, and therefore you should own it. There are probably hundreds of companies that provide some kind of ordering platform. Because of this, it’s prudent to seek out a known entity. Research the history of your partner options. Ask for an in-depth demonstration of their solution and check client references. Typically, the longevity of a company’s client relationships is a good indicator of what it is like to work with them. As mentioned, there are a lot of options for ordering platforms. Once you’ve identified your potential partners, evaluate their focus. Discover if digital ordering is their primary business or a secondary or ancillary business. Research how they will allocate development resources. Ask them for their development roadmap and make sure that the digital ordering platform is being continually enhanced to keep up with ongoing customer demands. Your ordering provider should bring you ideas of how to make your site better and keep you abreast of new trends, not the other way around. When you are ready to dive into digital ordering, these common mistakes to avoid should be helpful. Remember, the reward of generating new revenue can have a great impact on your business. Lisa Recoussine is senior vice president of business development at orderTalk, a provider of digital ordering solutions for the restaurant industry worldwide. 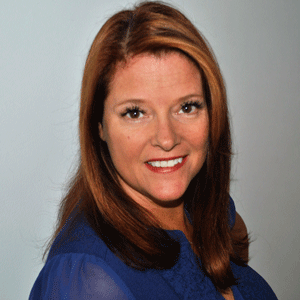 She has nearly 25 years of experience in restaurant business development and client support. Contact her at [email protected].